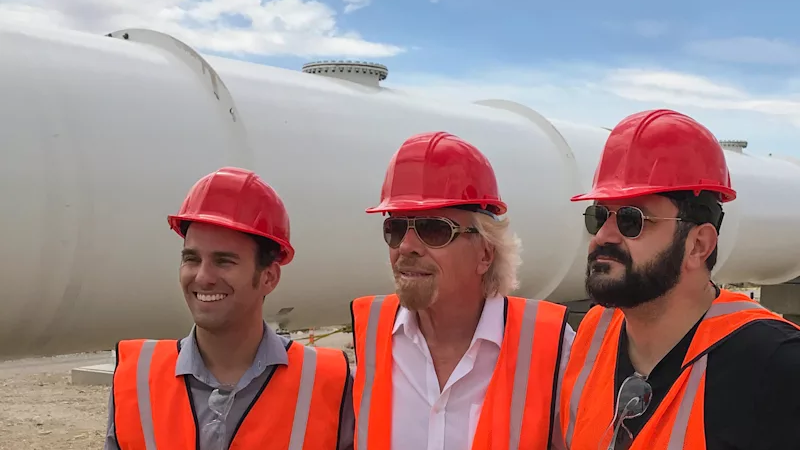 Building a futuristic hyperloop system won’t be cheap, so startup Hyperloop One’s surely feeling good today, after it announced billionaire Richard Branson had made an investment in its endeavor. And with that, the company’s rebranding to a not-clunky-whatsoever-name: Virgin Hyperloop One. It’s unclear how much Branson’s Virgin Group invested in the startup, but the move also brings him onboard as a new director to the company’s board. Does it increase the chances of bringing the hyper-fast pneumatic tube system to fruition? Maybe? It certainly gives the system more visibility and likely brings more access to the capital funding Hyperloop One needs to move ahead. Last month, the company announced it had raised an additional $85 million, bringing its valuation to somewhere around $700 million, the Verge reported. First pitched in 2013 by Tesla CEO Elon Musk, the ambitious idea for a hyperloop system (Musk himself is considering building a hyperloop of his own) involves a series of tubes that transport pods using magnetic levitation in a vacuum-sealed environment. Cost isn’t the only issue—though, it’s certainly going to be a prevailing factor. Jalopnik reported last month that a proposed route in Colorado that Hyperloop One is interested in could cost at least $24 billion. But in order to build an operational system in the short timespan Hyperloop wants to achieve, it not only has to prove the technology is capable of safely reaching the super-fast speeds Hyperloop One proclaims it can hit. Regulatory approval aside, the issue of acquiring land rights could be a significant roadblock. So Hyperloop One may be the furthest along in developing the futuristic transportation network, but it still has a long way to go. With Branson onboard, though, I’m sure we’ll be hearing a lot more about the startup’s efforts in the coming months.